Let’s look at the four-hour chart. Tenkan-sen line is below Kijun-sen, the red line remains horizontal, while the blue one is directed down. Chinkou Span line is below the price chart, current cloud is descending. 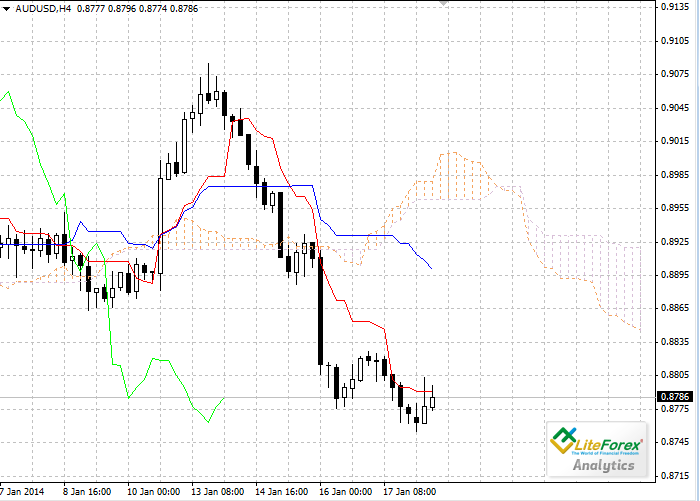 The pair ha sbeen corrected to the level of Tenkan-sen which is still the closest resistance level (0.8791). One of the previous minimums of Chinkou Span line is expected to be a support level at 0.8551. 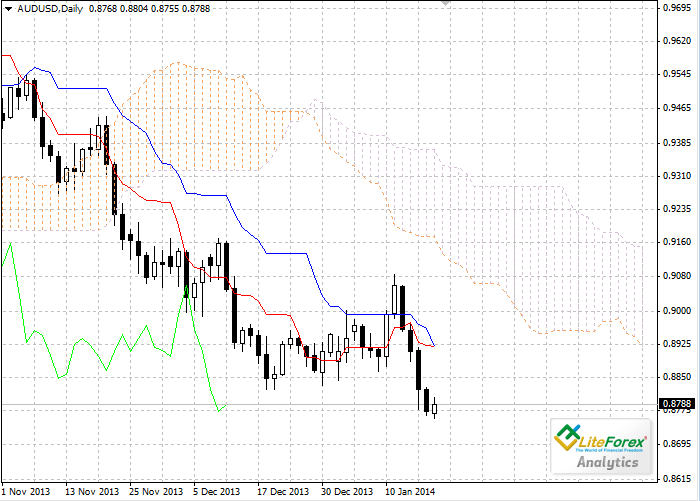 On the daily chart Tenkan-sen and Kijun-sen lines are crossing below the cloud. Chinkou Span line is below the price chart; current cloud is descending. Upward impetus wasn’t enough to reverse the trend, so the pair returned to the fall. Tenkan-sen line becomes the closest resistance level at 0.8923. One of the previous minimums of Chinkou Span line is expected to be a support level at 0.8683. Both timeframes confirm the continuation of the downward trend, the targets for the short positions are 0.8651 and 0.8683.